Paul Coudamy is an architect working and living in Paris. His work is a mash up of brilliance and inventiveness that creates an unbelievable end product such as office called the Bears Cave. The ‘Bears Cave' is emphasized by Parisian rock and brick walls creating a solid and mineral atmosphere. 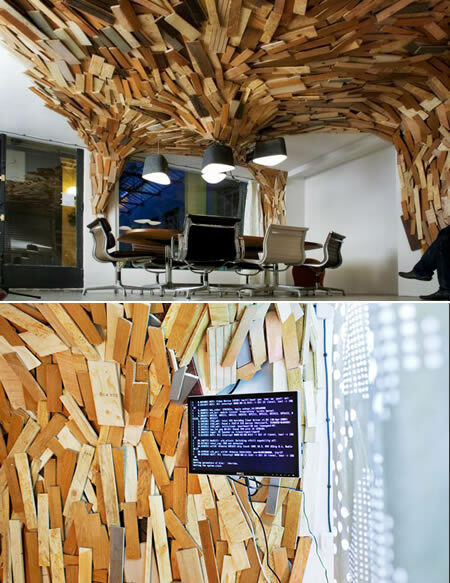 The cavern walls are created using wood waste pieces collected in dumpsters, sidewalks and wastelands. 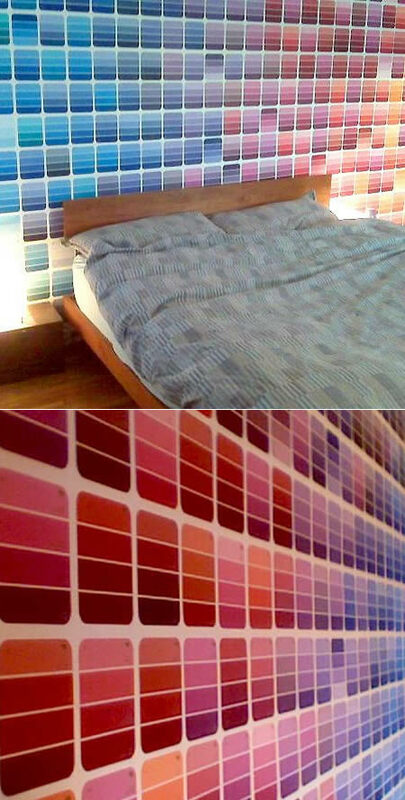 Not all the cool designs are expensive; a man went to Home Depot every day for a few weeks and took paint swatches–when he was done, he had around 1000 swatches. After attaching them to the wall with mod podge that's what he came up with. 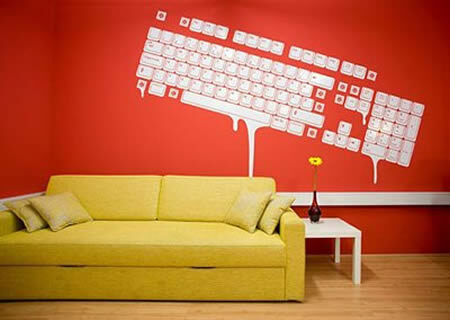 Wall graphics are more and more popular in these days, and here is an interesting example. Designed by Zek this cool wall graphic gives another meaning to geeky Interior Design living rooms and grants another vision even when watching the regular tube. Swedish graphic Design Lisa Bengtsson designed ‘the family' wallpaper pattern to add some nostalgia to the home. 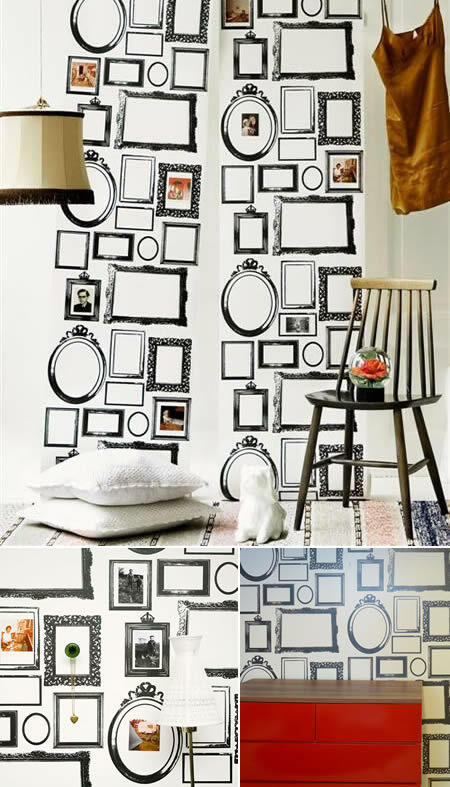 Users are able to recreate this in their home using the frames printed on the wallpaper and adding their own pictures or other details to customize the pattern. 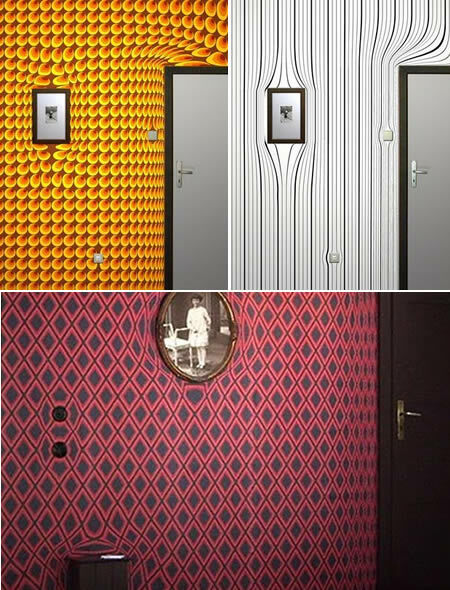 A German company called Surrealien customizes your wallpaper to look like its warping around your paintings and decoration. Must be hard to randomly rearrange after this. This Jonas Samson's illuminated wallpaper with OLED technology will light up your home in the most simple yet serene manner giving it stunning looks and sheer awesomeness. A clever mix of the graphic, textile-inspired papers of the recent-past and organic technologies of the future, his light-emitting wallpaper happily straddles the fence between kiddie night-light and inventive design feature. It's eco-credentials: turning a two-dimensional surface into a light source versus the traditional bulb/lamp construct. 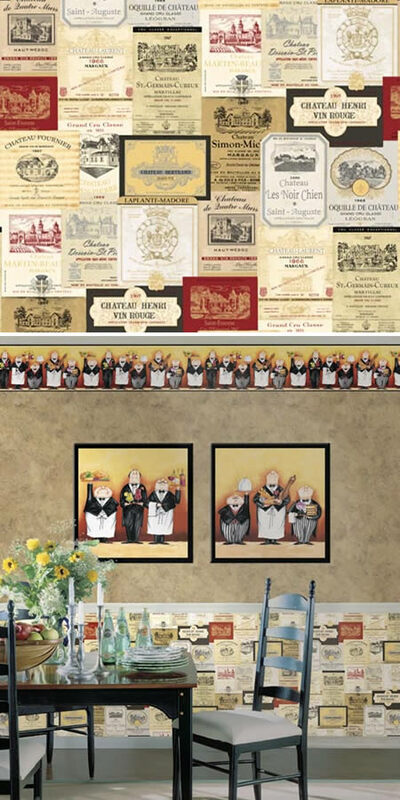 If you drink a bottle of wine per day, maybe in a few years you will be able to have a wine labels wallpaper like this one. This Pixelnotes wallpaper, by designer Duncan Wilson, consists of four layers of varying grey tones. Each layer is like a post-it note and every time you split a layer, the individual pixel gets darker. This wallpaper called Pocket Wall by designer Maja Ganszyniec is like a wrapping paper. 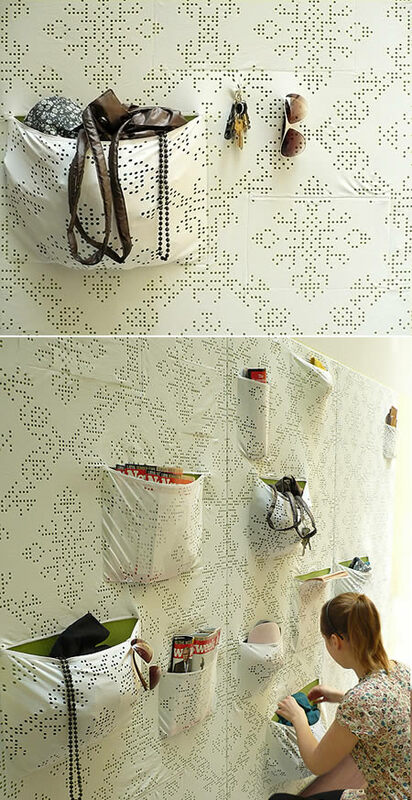 The project turns the purely decorative layer of wallpaper into storage. 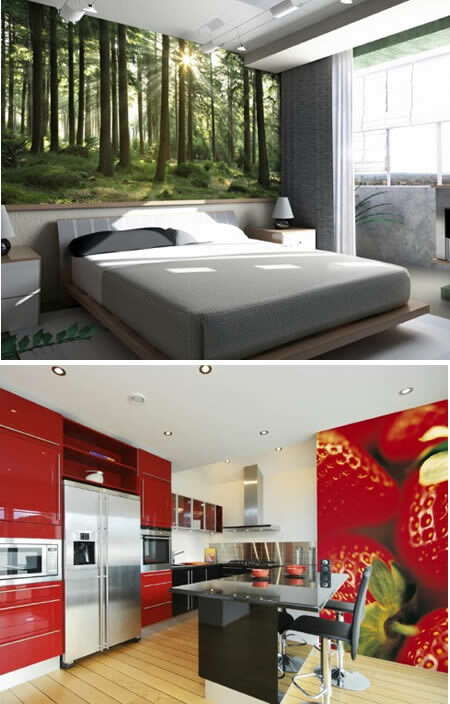 Stemik Living creates digital wallpapers were you can choose among a great variety of designs, and an opportunity to use any of your favorite picture as a base for them allow to find the right wallpaper for anyone. 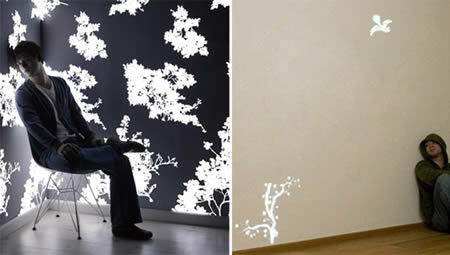 With such wall covering your interior design will look more alive and unique. With them you can forget about dull usual walls. 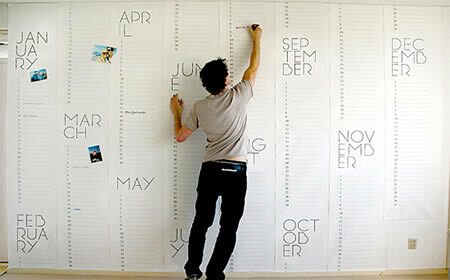 Dutch designer Christiaan Postma designed this wallpaper to do double duty as a giant calendar. The design merges the properties of wallpaper with the functionality of the calendar to create a wall that is a true reflection of our busy schedules. By making the calendar so large you can literally look at one whole year on your wall, giving an entirely different perspective of time. 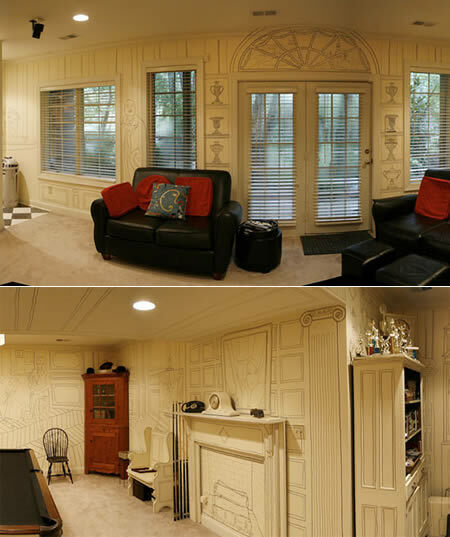 Not really a wallpaper, but still it's an interesting way to decorate walls with just a few markers. Charlie Kratzer wanted to decorate his blank white walls but wanted something more creative than simple paint or traditional wallpaper. Using black markers, Kratzer drew architectural features, books, pictures and a small cast of characters on the walls. The whole work was only $10 in sharpies.